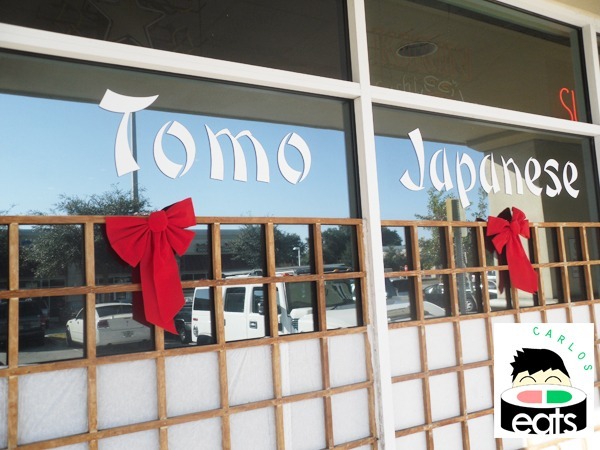 My friend and I have been planning to eat at Tomo Sushi for months, but something always comes up. 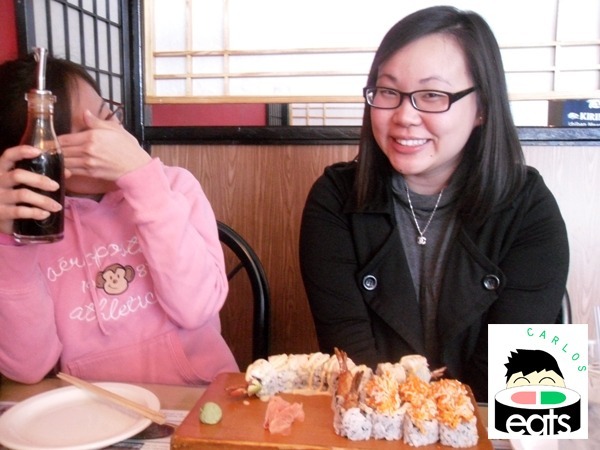 We finally had a chance to have lunch yesterday, and I really enjoyed my first visit to this sushi restaurant. It’s located near USF on Bearss a short drive from Campus Lodge or Collegiate Hall. We were seated right when we entered. 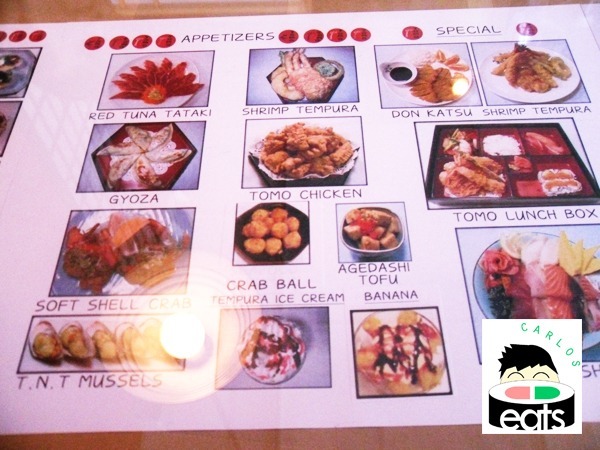 They have some visual representations of things on the menu on the table and the menu has a few pictures as well. After spending some time deciding I decided to have the Tomo Lunch Box, a bento (おべんと) box ($10.95) which comes with one piece of salmon, one piece of tuna, teriyaki chicken, rice, 4 pieces of California Roll, tempura shrimp and vegetables, miso soup, and salad. It didn’t sound like much at first thought, but I was stuffed in just a short while. My friends ordered some sushi rolls from their sushi menu. The Ginger Salad was excellent! Not the best I have had, but up there with plenty of ginger sauce that didn’t make the salad bland, but kept it tasteful down to the bottom. The Miso Soup was also pretty good, plenty of seaweed and tofu inside, however it did taste a little too much like onion powder. The Tomo Lunch Box was excellent. There was plenty of food. The salmon and tuna nigiri tasted great and fresh. The California Rolls were good, but I probably take out the cucumber from them on a future visit. 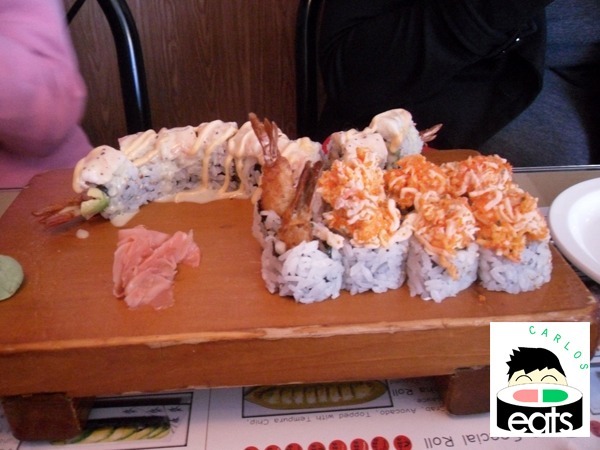 The tempura was great and the shrimp tempura is some of the best I have had in quite some time. They included plenty of teriyaki chicken and rice with several vegetables in the mix as well. It was more than enough to feed one person and well worth ($10.95). My friends with their sushi. I really like the decor inside of Tomo. You can see the booths are very personal and have dividers in between booths separating your party from other ones in the restaurant. There are paintings on the walls of fish and a number of traditional Japanese paintings around the restaurant. The sushi bar also looks nice and I would like to sit there in the future. They play some traditional music in the background as well, which is low enough to allow your party to have a nice conversation, but still enjoy some music while dining. 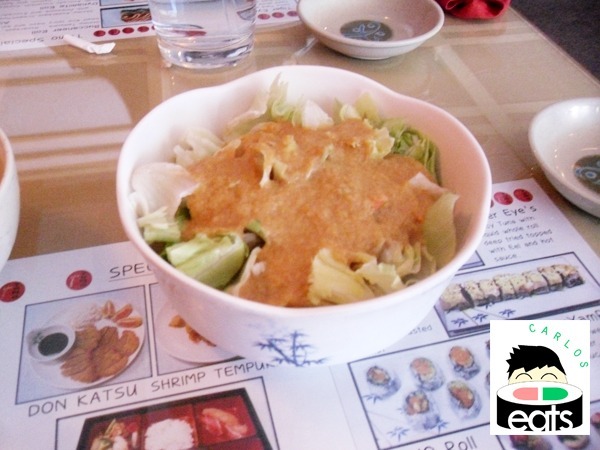 Overall, the food was great and service was on point. They have a number of Korean BBQ dining options as well, being Korean owned so I will have to return in the future to try their Bulgogi or Galbi. 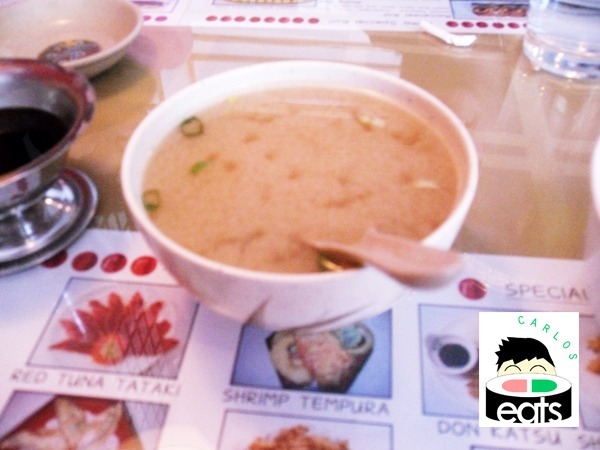 Tomo has traditional Japanese food as well such as Yakisoba, Don Katsu, and various types of Udon. I’ll be back in the future.